Although archeological records show that primitive dental implants may have been used in prehistoric times, and they were relatively common by 600 AD, modern dental implants did not really catch on until the 1990s. Though they are now the gold standard to replace missing teeth, dental implants are shrouded in myths and legends. Here is the truth behind 4 common myths about dental implants. Any oral surgery can cause some discomfort, but dental implant placement is usually less uncomfortable than having a tooth extracted. With modern technology, a skilled oral surgeon can place dental implants with little to no pain. Take any prescription medications as instructed after your surgery, even if you feel no pain. It is much easier to stay ahead of any potential pain than to try to fight it if it occurs. Most people are ready to return to work the next day or a bit longer for complex procedures.. It is true that the upfront cost of dental implants is higher than that of dentures or bridges. However, those restorations tend to have a lifespan of a decade or less. Dentures cause bone loss and should be relined each year, while bridges raise the risk of future problems in the teeth that anchor them. With proper care, dental implants can last a lifetime. Note that it is not necessary to pay the highest price in town for your dental implants, but your oral surgeon’s fees should be reasonably competitive. Watch out for deals that seem too good to be true. Nearly anyone can be a candidate for dental implants. Underlying health conditions such as bleeding disorders or diabetes should be well controlled before any surgery, and existing oral health concerns must be treated before we begin. In addition, those with severe jawbone loss may need bone grafting to support the implants. Within these parameters, though, it is extremely rare for anyone to be unable to get implants. 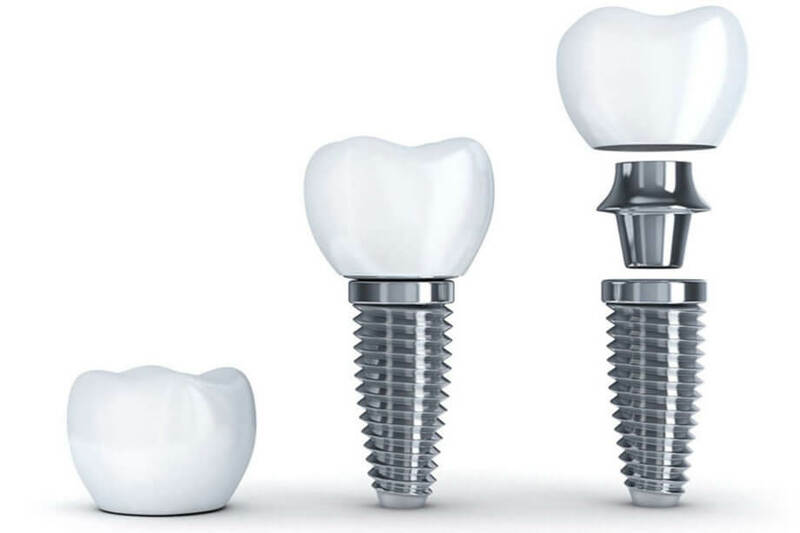 Dental implants are made from biocompatible titanium, which is virtually impossible for the body to reject. In very rare occasions, an implant may not completely fuse with the jawbone. However, success rates across the board are about 95 percent. A skilled oral surgeon whose patients carefully follow aftercare instructions can achieve a success rate upwards of 98 percent.